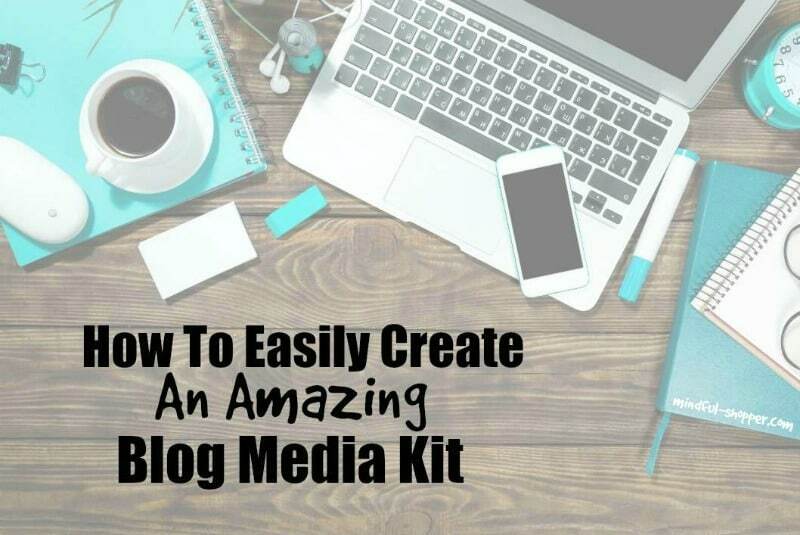 In this blog post you will learn why you should create a blog media kit, what should be included in your media kit, and a simple way to create an amazing blog media kit to help you stand-out in the crowded blogosphere. What Is A Blog Media Kit? One of the key tenets in marketing is the importance of having an “elevator pitch” ready at all times. This is a concise and organized speech used to highlight your business. When building a blog, a media kit is your elevator pitch on paper; an organized, concise, eye-catching document used to attract potential advertisers/sponsors. Why Create A Media Kit For Your Blog? A media kit is essentially your blog’s resume. It is used to highlight the best aspects of your site, the purpose of your blog, audience demographics, and blog statistics. It is a tool to help you stand-out to potential advertisers/sponsors and to get your blog in front of your favorite brands. A beautiful, organized, and eye-catching blog media kit shows potential advertisers and sponsors you pay attention to detail and take pride in your work. It also shows you closely monitor the statistics and growth of your website and have a good sense of your blog’s audience. Blogs of all sizes can benefit from a media kit. A small blog can use a media kit to highlight its unique aspects which can help it stand out from larger blogs. A media kit is a must for all medium-large sized blogs. 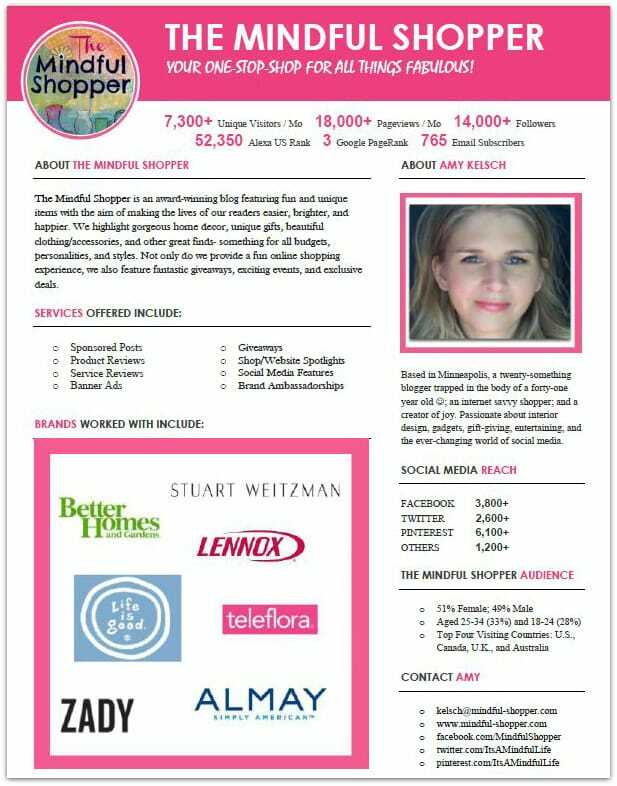 Not only does a media kit help a blog of any size stand out from the rest, it is also a nice tool to hep you screen potential advertisers/sponsors. It is important to create a media kit that is organized, easy to read, and to-the-point. A 1-3 page media kit seems to work best. I also recommend that your media kit be in a PDF format and not a Word document so that advertisers/sponsors can open it easily (Word documents can sometimes lose formatting when transferred from one computer to another). You will want to provide access to your media kit through your blog (it is often placed under a navigation tab titled “PR/Media Kit”, “Work with Me”, or “Advertising”). Try to coordinate the colors and style of your media kit with that found in your blog. I know I have provided you with a lot of information and you may be feeling a bit overwhelmed at this point. No worries- I have good news for you! 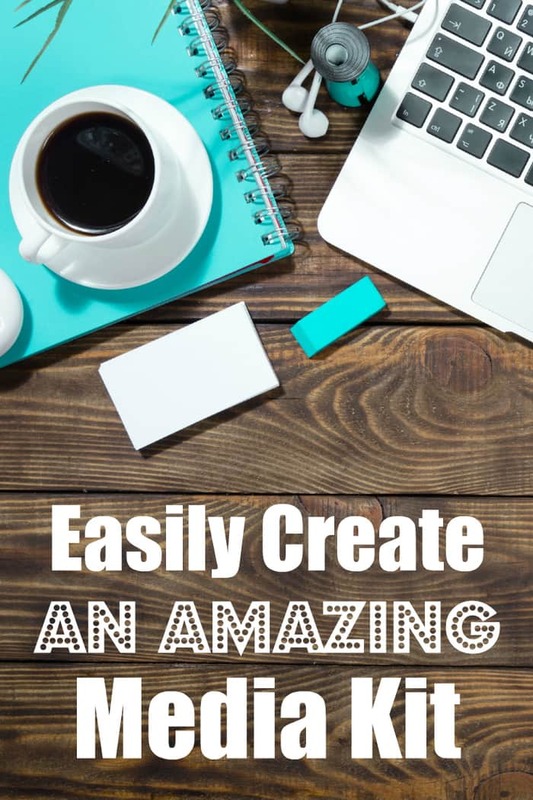 I recently discovered an easy way to create an amazing and eye-catching blog media kit using media kit templates from HIP Media Kits. 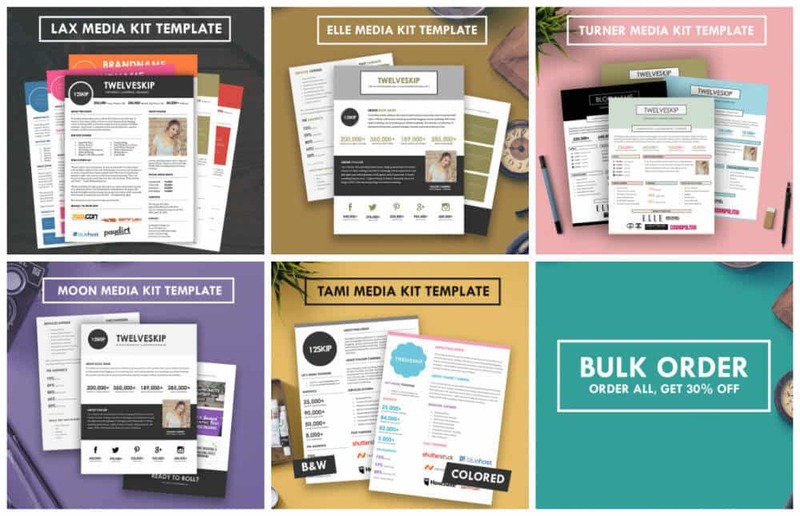 These fully-customizable templates make creating an amazing media kit easy and actually fun (seriously)! 🙂 Each HIP Media Kit Template ($24.99) includes the color options noted below (you can further customize them using Microsoft Word). Take a moment and leave a comment. Have you created a media kit for your blog? Any additional tips/tricks for creating an amazing blog media kit? Also, please feel free to ask questions. Really good tips for creating your own media kit. I have one of my own too that I send out to companies or PR people when they request it. Thanks for stopping by! Yes, a media kit is definitely a must-have for any blog wanting to work with brands. Thank you for this! I don’t have a media kit and I really need to get one! I love yours! It’s so colorful and fun along with being informative! My media kit is SO lame, I really need to get mine redone and I am totally motivated after seeing this. Thanks for stopping by! I am glad I was able to provide some helpful motivation. I really needed motivation as well and didn’t find it until I found these great media kit templates. These are great tips. Your media kit represents your presence, so it has to be fantastic. Seeing your blog media kit makes me feel ashamed. I don’t really have any of that on my blogs. I do need to add something. Does that help gain followers and people to sign up to receive updates on your blog in email? Thank you for this, I am in desperate need of a media kit! These HIP media kits look like a fun easy way to do it! You are welcome! Yes, these templates are awesome! Super easy to work with! This would probably help me out a lot. I like the PDF idea.Having everything cleanly organized in a readable format would go a long way. Thanks so much! Appreciate the comment. Wow, that’s a lot of information to be included in a media kit. I was considering doing mine on my own, but now I clearly see that a template is in order. I agree with all of this, though a great media kit is hard to make! I can be a perfectionist so it takes me a really long time to finally decide! Wow, those templates really do look great! My media kit is sorely in need of updating right now. Thank you for the tips and ideas! You are welcome! Glad I was able to help out! I think these are great tips!! I need to update my media kit badly!! These are good tips. I think the colors and the graphics you use are just as important as what you put on the media kit. Yes, the style of your media kit is so important. It should reflect the style/colors/theme of your website. Thanks for commenting. These are great tips. I need to go over mine and follow these tips. Thanks for sharing. Thanks so much! Let me know if you have any questions. I have a media kit on my blog, but I need to update it. I actually bought this kit. Now I need to actually put aside enough time to update my media kit. Thanks for the reminder. I love these kits! I NEED to update mine pretty badly, so I’ll be checking these out! I haven’t had time to create a new one recently, so these will be great! I am so glad I was able to provide some inspiration! These templates are really easy to update regularly. Thank you! Photos are great ways to personalize your media kit and to connect with those reading your kit. I haven’t created a media kit for our blog yet, but I have been thinking about creating one. Thank you for the tips. I surely need those. Thanks so much! I am glad I was able to be of help! Those are some great tips. I really need to add a media kit to my blog. Looks like you’ve covered everything! I’m sure many people will find this helpful so I’ll pin it. Thanks so much! I really appreciate the pin! I’m waiting until I do my blog re-design before I re-do my media kit. It works for me right now and that’s all I’m concerned with. This is good to know. I have a media kit and I think it’s important and useful to have one. That’s really cool. I make my own media kits and put them in PDF format. It makes it a lot easier than some of the old days where people would make graphics out of them. Thanks so much! Have a wonderful weekend! I currently have a text version of my media kit. I saw several other bloggers do this and decided I needed to add this information. Once I added it, opportunities came rolling in. It was slow at first but I’ve created opportunities that I wouldn’t have had without it. I’m thinking of making a pretty template version. You are definitely ahead of the game if you already have a text version! That was the hard part for me- trying to think of concise and clever ways of describing my blog and myself. I have a media kit, but it needs updating. These are some great points and tips! I am going to check my over and see where i can tweek it to look better! I am so glad I was able to provide you with some helpful tips. Take care! Those turned out real nice and professional. You can’t beat the price either – well worth it! I totally agree! Happy weekend! I really need to make a media kit, but I’ve been putting it off and waiting for my blog redesign. Sounds like a good plan. Makes sense to wait until you know the style/colors in your redesign before creating a media kit. These are all great tips. I like the template that are offered. They look very professional. Great topic! My media kit is so basic right now. I know I need to add some information and some sort of “WOW” factor.. but to be honest, I was just happy to get something up. My media kit is in desperate need of renovation. I am bookmarking your page to come back to it later. Love those templates. Great tips in here! I definitely prefer using a template for something like a media kit. Just makes it so much easier. Yes, a template works great for this type of project! This is such a great and informative resource! Thank you bunches for sharing! Blogging since 2011 and I still do not have a media kit! Thankfully I do mostly book reviews and those authors find me–oh yes, they find me. I don’t do too many product reviews mainly because I don’t need any more stuff around the apartment. If it can’t be consumed or used up quickly–I do not want it. I probably should make up a media kit for me and my blog–and I will definitely take all your above advise very seriously! I am so glad I was able to provide you with some helpful info. Thanks for stopping by! I LOVE these media kits from HIP Media Kits! Thanks for these great tips on creating a good blog media kit! I have a media kit but it is missing a lot of relevant information. I really like yours a lot. I am going to go back and re-do my media kit this weekend. Thank you so much! I am glad my post was helpful! I wish I saw this a few years ago when I first started my blog, this would have been super helpful. Thanks! Hopefully, it can still provide you with some guidance. Take care! I so need to spruce up my media kit. I’m pinning this for later. Thanks! Thanks for pinning! Take care! Honestly I haven’t put much thought into my media kit. I think it’s time to start making it amazing! This is all amazing information for any blogger indeed. I will have to make this part of my research before I start my blog. Thanks so much for sharing. You are welcome! Glad to be of help! Thank you so much for sharing this fantastic info. I really need to get a media kit organised…I’ll pin this to read it thoroughly later! Thank you so much for stopping by! 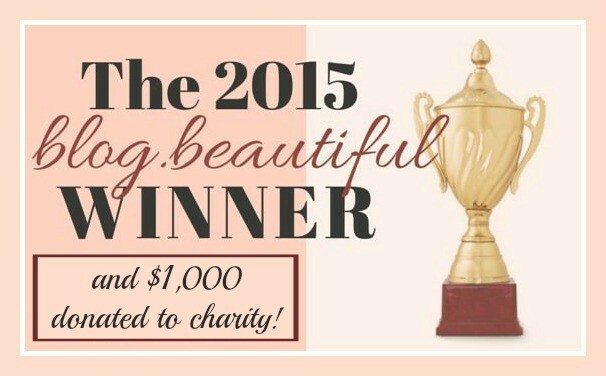 I am honored to be linking up at your Sundays Down Under Link Party! I just popped back to say thanks so much for sharing your post at the #sundaysdownunder linky party! 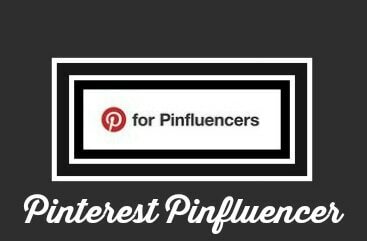 I really appreciate you and your support and have shared your post on pinterest. 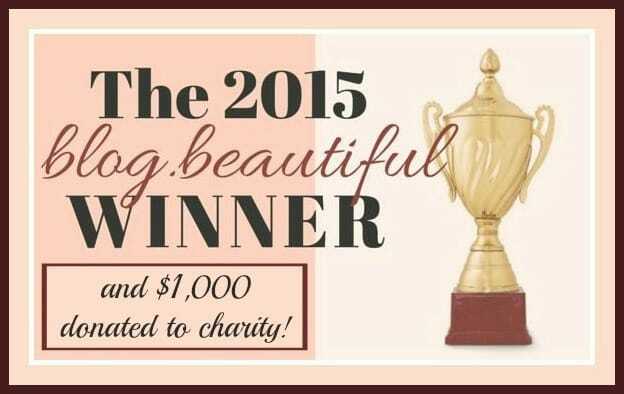 Thank you so much for sharing my post and for hosting your fun link party! Thanks so much! I am glad the tips were helpful. This is so helpful! I would have no idea how to put one of these media kits together. Thanks! Thank you so much! Have a wonderful week! Wonderful tips! A media kit has been on my to-do list for a while and this will make it a whole lot easier. Thanks so much! Have a lovely week. Thank you so much! I will definitely stop by your Home Matters Linky Party! This looks great! As a newer blogger, this is something that’s been hanging out on my to-do list, but I’ve felt overwhelmed and unsure exactly how to proceed. This looks like a great option! I am so glad! Thanks for stopping by! I am so glad this post provided you with some helpful information. Thank you Amy, I pinned this and making an blog media kit is going on my to-do list! Thanks for the tips! The template looks great and good value too. Thanks so much! Yes, these templates are definitely a great value! It is definitely important to have a nice and informative media kit. Yours turned out really well. Thank you so much! I appreciate the opportunity to link-up with your #MyFavouritePost Party! Wow Amy, this post was through. I’m a new blog and overwhelmed lol. I found your info easy to follow and to the point without sounding clinical. Thanks a bunch. I have also pinned this post for when my mind clears and the learning curve isn’t so steep loool! Good information. I have not done a meida kit for my blog yet. I just can’t get the pageviews up for some reason. I know it can take time for those pageviews to increase. I am still working on this. I am happy you thought my blog post was helpful. relatively new to blogging, so this is great information! I don’t have a ton of traffic yet, but this will be good to get ready for when I do & want to work with brands! Thanks! Found you on the Mommy Monday Blog Hop!